Adults only (18 and above) Week long celebration with beach parties, catamaran cruises, top DJs at the club discos and gala dinners. This is the 3rd year for what has become a very popular festival. Fun week jammed with jazz concerts, and world's most popular jazz, soul, Latin, salsa and R&B artists. Headliners include Santana, Alicia Keys, Maná, Marcus Miller and New Orleans legend Allen Toussaint, who appears with clarinetist Don Byron and guitarist Marc Ribot. Local musical celebrities include bass player Hershell Rosario, singer Ced Ride, keyboard-player Rònchi Matthew and a guest performance by Argentinean guitarist Luis Salinas. The festival will be performed at various venues around the island. Oct 26-28, 2012 - Three nights of pulsating rhythms! A celebration of Creole music held annually in October. 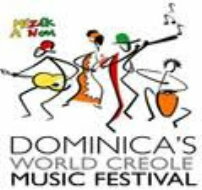 16th edition of the World Creole Music Festival (WCMF), held at the Windsor Park Sports Stadium.